Very friendly, answered all questions, fair cost. Jamie has great customer service! Always a pleasure doing business with her! Currently waiting in the service department. The service staff are friendly and explained everything well. Joe is very pleasant and understanding. I would definitely come back to have my car serviced here and to get my new Jeep when the time comes! We could not have been more pleased with the buying experience. The dealership has a great vibe and is no hassle, the price is the price. We worked with Josh and Bill and they were absolutely terrific! They were extremely knowledgeable and passionate not only about the vehicle but they were excited for us as well. My sales rep Josh was great! I had a wonderful experience with Jim Thezan and all of the employees at Bettenhausen! They made me feel at home and helped with all aspects of my vehicle purchase. Buying a car can be so stressful but Jim helped answer any and all questions, never became impatient, and never pressured me! When I made the decision to purchase it was because I truly felt prepared and ready. 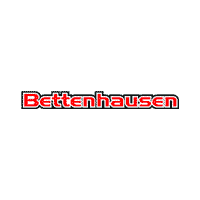 My wife and I researched a variety of dealerships from which we would purchase a vehicle, but no one compared to Bettenhausen! We are from the St. Louis area and John Harstick made the experience flawless. We were seeking a Toyota Highlander, locally in St. Louis, but there was only one that met our standards. Bettenhausen not only provided a Toyota Highlander that exceeded our standards, but they also had it for thousands less than the local dealership. John coordinated with us all the way up to the point of us picking up the vehicle from the dealership. We were thrilled when we arrived as John had the vehicle prepped and the paperwork ready. Total time at the dealership was around an hour! John even personally put the plates on the vehicle for us. John went above and beyond and we are dearly grateful for his to notch service. We will definitely keep Bettenhausen in mind the next time we are ready to purchase a vehicle, no matter the distance! Thanks John and the Bettenhausen team! I can honestly say I didn't know much or anything about Alfa Romeo but thanks to my husband he introduced me. I was comparing the Audi Q5, BMW X4 and the Alfa Romeo Stelvio. I test drove the Alfa first and then went to BMW. I liked the BMW X4 but the size wasn't what I wanted. I kept thinking back to the Alfa. The Alfa is new and not many people are familiar so that was a big plus for me. The look is amazing and so far the ride is too. I called and spoke to Josh and he was very helpful not pushy at all. He answered all my lengthy questions and was ready when I arrived. His co-worker Bill was helpful as well. The team work that they exemplify is fantastic. I recommend Alfa and the team if you're looking for originality and professionalism. I have the 2019 Alfa Romeo Stelvio TI Sport! Thanks Josh!! I found this gorgeous 2018 Maserati MC Convertible and had to have it. Josh Gabrielson was extremely responsive and even after I got some cold feet, he re-engaged and worked with me on our deal. I actually drove 4.5 hours to finalize things and drove her home, and Josh and the staff were very accommodating and easy to work with. I highly recommend working with these folks!! No B.S., no gimmicks, the numbers were what we agreed and no pressure for anything more. Super experience! I live in California and went to 2 Alpha dealers who looked for a vehical that had everything I wanted. After a month and half and no luck one found this car in IL. I reached out to the dealer and Josh assisted me. We did almost everything by text. He sent pricing and videos of the car. The deal just took a couple of days to finalize and then the car shipped and today I'm not the prodlud owner of the Stelvio AWD TI Sport. Thanks Josh for all the help you gave in answering my questions and tracking thr car as it made its way to me. The entire process, from working with Josh to special order my car from Italy, arranging for an extended test drive, periodic updates on the manufacturing process, to picking up the car was fantastic! Josh and Bettenhausen made the entire car buying experience enjoyable. I will be a customer for life! It was good service,Fast and efficient the staff was friendly the waiting room was quite and clean ..although I would have love my vehicle to get a quick Vacuum after my service..but maybe that don’t come with the service ( oh well never the less I was mostly satisfied . From the first call to the dealership to every person we interacted with, the experience was above expectation. Called to get info and a test drive scheduled. Reception/front desk was helpful and cheery. Talked with Gloria and made appointment for a test drive. When i showed up she was ready with the 2 cars that i wanted to drive...handed me the keys and said to have fun (and i did!) As she was leaving, she handed me off to Josh who was a deep car expert - he knows his stuff Spent the next few days chatting, texting and email josh with a few questions - he was always quick to respond. Came back to do a final test drive with the better half and walked out with a new car. Handled the financing, the trade in, and all other discussions without any drama - in fact, he never had to talk to his manager (except to go get approval on the trade in amount) like all other dealerships do...Like i said, experience has been great. definitely recommend! This is a service review only. They are amazing!!!!!! I purchased a vehicle from another dealership and had a lot of issues so I took it in and then dan took care of me. Let me know what was going on the whole time. I never had to call for an update. This is the 2nd time in my life I have taken a car to the dealership and my car came back in same or better condition. First time was Currie Ford in Valparaiso Indiana. My car will definitely be serviced here from now on. Buying a car can be both a personal experience and impersonal at the same time. A car is a personal choice and expression of yourself but years of tainted experience surrounding the car industry has left people defensive regarding the process. There was no need to feel uneasy or pressured during my experience. A very transparent approach which I appreciate and in the end I think we were both extremely fair for each other. I would highly recommend the brand and also the dealership. Josh Gabrielson is awesome made the deal happen! Highly recommended!